This is a copy of an article in the Mid Sussex Times from 1966 featuring the village of Slaugham. 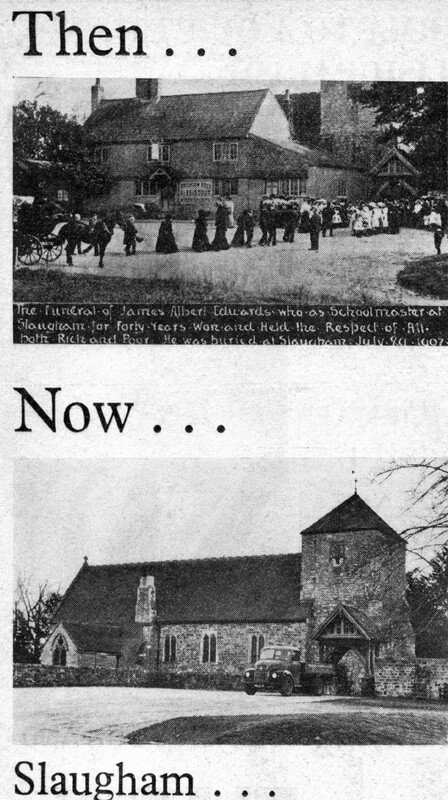 The first photograph records the funeral of schoolmaster James Edwards and further details can be viewed at picture #576. The second picture was taken in 1966 and shows Slaugham church with what seems to be a 1950s Bedford truck parked outside. Select Large Version to read the text of the article. The author is shown as “A. C. G” and I am fairly certain that was Tony Gabe, local historian and reporter for the “Middy”.